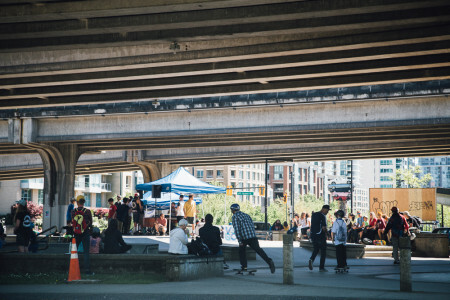 Have you’ve found yourself at one of the skateparks in the city of Vancouver and found yourself looking at a situation or problem and wondering what you could do – or who you could talk to fix the issue? Things like no garbage cans or recycling bins, information pills or the garbage is overflowing and needs to be picked up. 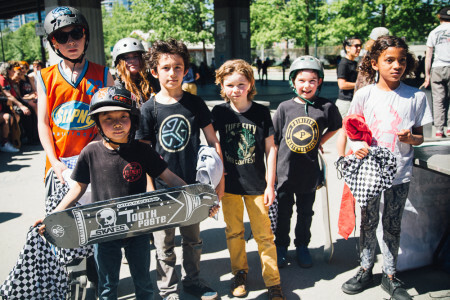 Is there trash, hazardous materials, broken glass or syringes at the skatepark? Maybe the lights at the Plaza or Leeside are burned out and need replacing, or maybe … Well, you get what we mean. 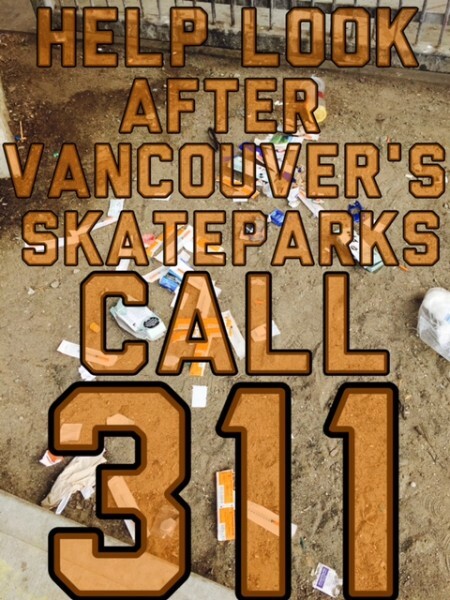 Did you know that if you are a resident of Vancouver you can call the phone number 311???? 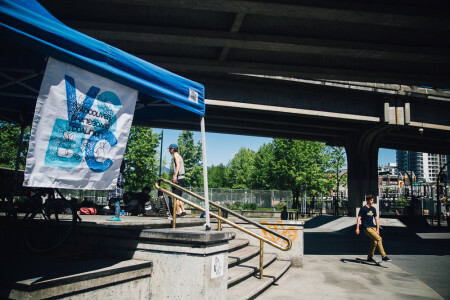 311 is the City of Vancouver Contact line that puts you in direct contact with a person or department at City Hall so you can report problems and issues and have them dealt with. 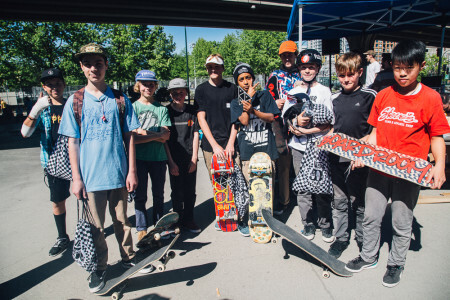 We had such an amazing fun day in the sunshine at The Downtown Skateboard Plaza for our Annual Youth Week Skateboard Contest. 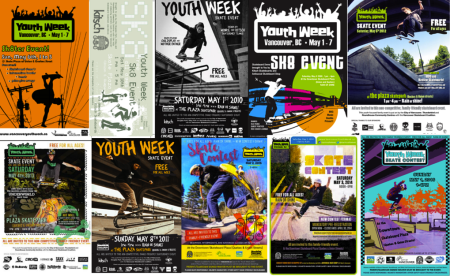 Thanks to everyone that made it out, story competitors, here parents, friends, The City and Parks Board of Vancouver, Youth Week BC, The Roundhouse, West End and Coal Harbour Community Centres and all our many sponsors that donated lots of awesome prizes for the youth. Big shout out to all the volunteers that made the day run smoothly. Our tireless judges. Our awesome DJ Randal D. and to the best MC ever Jason Bothe ! 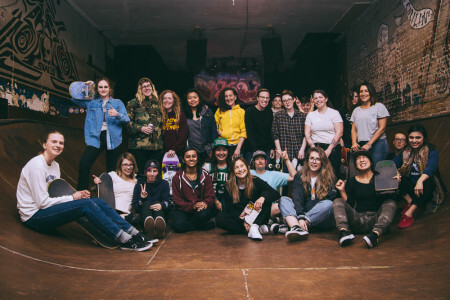 Chickflip’s Ladies Night continues to grow and bring together new faces, familiar faces, seasoned veterans, young rippers, rusty bones, fresh off the press she-redders and supporters from all over the city. 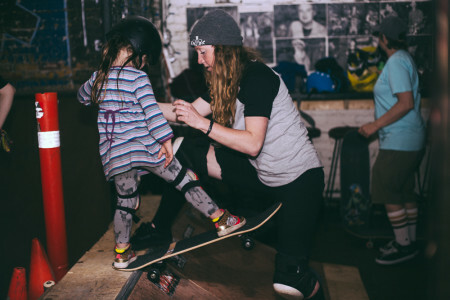 Much like skateboarding itself, the format of ladies night is always evolving to keep the level of stoke high and tailor to all abilities. 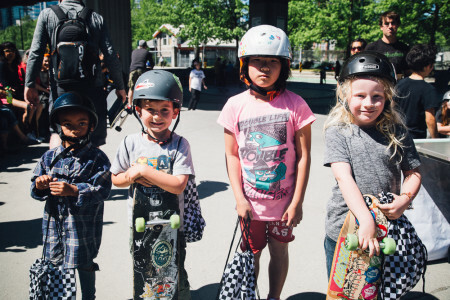 On April’s edition at SBC Restaurant, the first hour consisted of skate lessons where people learned to get comfortable riding their board and familiarized themselves with the ramp. 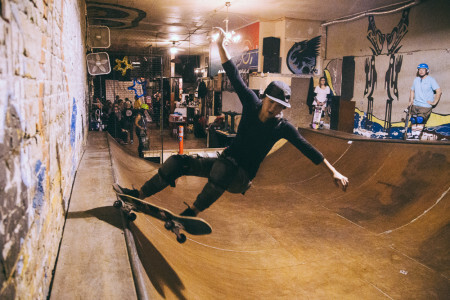 After the lessons were the screening of the legendary skateboarding documentary Skategirl by the Canadian filmmaker Susanne Tabata – a documentary that captured moments of history in the evolution of the professional female skateboarding industry. 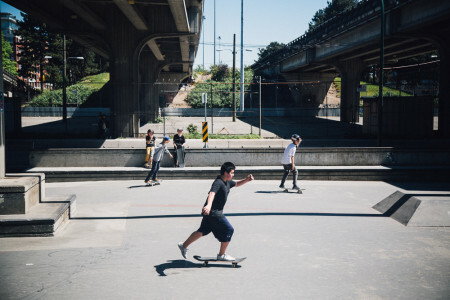 The documentary sure left the whole audience inspired and keen to get back on the ramp to skate some more for the remaining hour. It’s amazing to see the smile on everyone’s faces throughout the whole night. 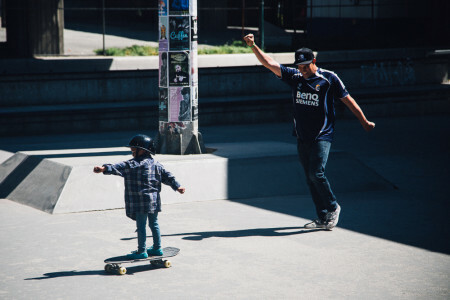 From the time one hops on their board, to the time another progress or observes someone else land a trick. Everyone is supportive of one another regardless of their age and ability. 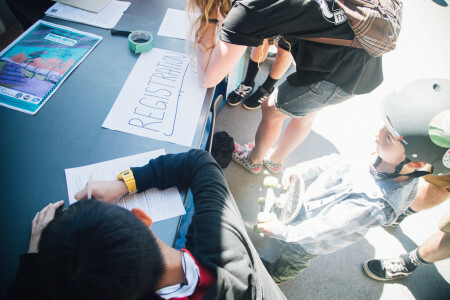 A sense of community reigns throughout and it’s really rewarding to see. For more information about upcoming events please visit the facebook group and/or instagram page. Comments Off on Another successful ladies night!